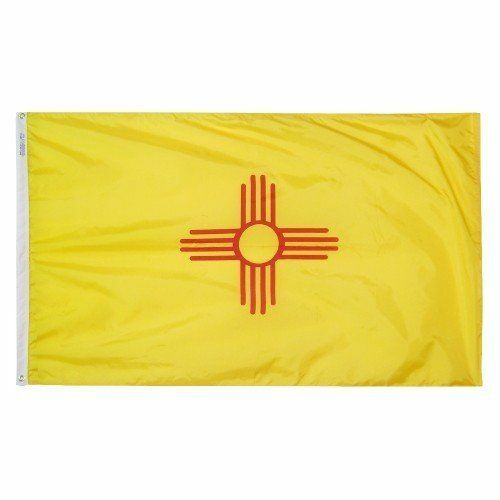 AmericanFlags.com is proud to carry New Mexico State Flags in a variety of materials, and styles, in sizes ranging from 4 IN X 6 IN to 12 FT X 18 FT. All of our New Mexico flags meet official specifications, are on sale right now and are ready for immediate shipping to your door. 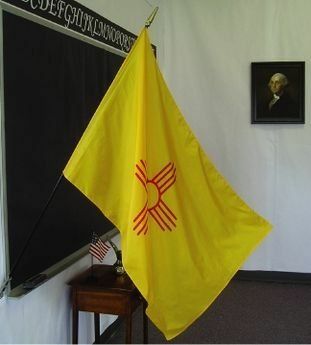 Chosen from a flag competition held in 1920, the New Mexico State Flag pictures the sun symbol of the ancient Native American people called the Zia. 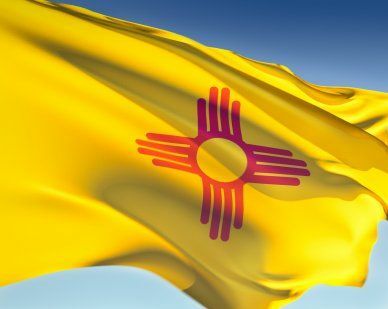 The symbol features four groups of rays with four beams in each group emanating from the stylized Sun and reflects the Zia philosophy of the basic harmony of the universe; all centering on the sacred number four. 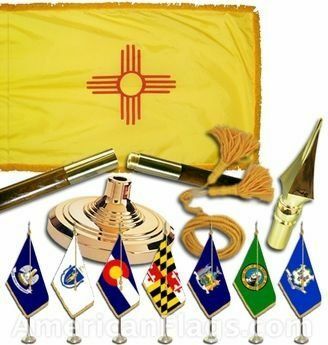 For the Zia, the number four represents such things as the four seasons, the four directions of the Earth, and the four stages of life (childhood, youth, adulthood and old age). 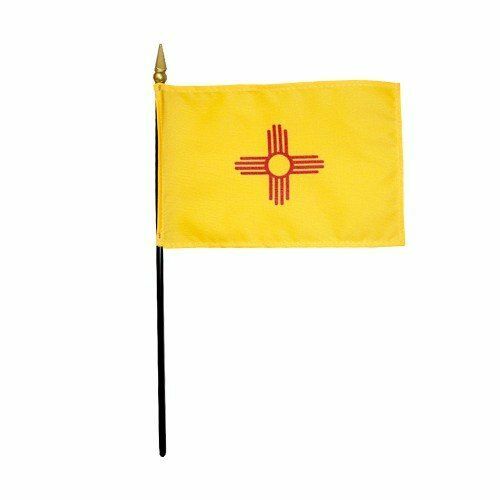 The flag's red and yellow colors are those of Isabel of Castilla, which were brought to the Continent by the Spanish Conquistadors.